Following the recent resignation of Mr. Kenny Mongake as Regional Commissioner in the North West Region, Adult Members of SCOUTS South Africa (SSA), based in the North West Region are invited to apply for the position of Regional Commissioner. This position is to be undertaken on a voluntary basis. In addition any member of SSA may nominate any other Member. access to email and office facilities will be an advantage. The job description for Regional Commissioners can be found here. To apply, fill in the form “Application for SSA Positions” and send to cc@scouts.org.za All Applications must be submitted to the Chief Commissioner, Dr Brendon Hausberger by Monday the 8th June 2015. 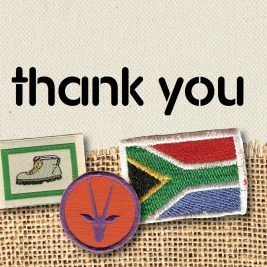 To nominate another member, fill in the “Nomination for Region, District or Group Position” and send to cc@scouts.org.za.